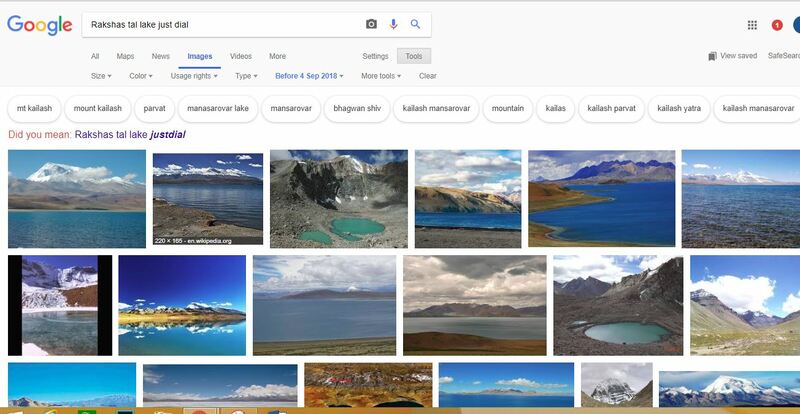 Right wing supporters allege Rahul Gandhi picked Kailash Mansarovar images from Google or to have purchased them. But provides no proof. Congress President Rahul Gandhi’s Kailash Mansarovar Yatra continues to attract fresh controversies. Even before he started the pilgrimage, the Bharatiya Janata Party first called him ‘Chinese Gandhi’ and later accused him of eating non-vegetarian food at a restaurant in Nepal. 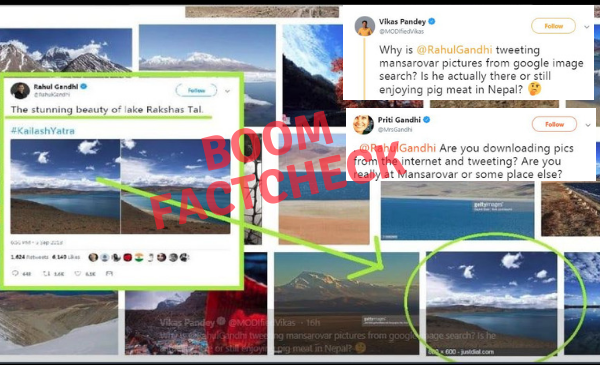 Now, BJP’s IT cell members including Social Media In-charge of BJP’s Mahila Morcha Priti Gandhi and Vikas Pandey claimed that Gandhi has posted Google images of the yatra and that he is not at Mansarovar. The image of Rakshas Tal tweeted by Gandhi on September 5, 2018 was caught on by them to make the claim. They used the same illustration to show the image was picked from Google. The illustration shows that the image they have pointed out on Google is from domestic search engine Just dial. Upon clicking on the image, we are directed to Just dial Social which has the same image linked to Gandhi’s September 5th tweet. To narrow down the search, we typed ‘Rakshas Tal Lake Just dial’ and also limited the search up to September 4, 2018, a day before Gandhi’s tweet. This was to check if the image existed before. However, the search did not throw any results. The same image can be found on Gandhi’s Instagram account as well from September 5, 2018. After being called out, Vikas Pandey took it further on Twitter to claim that Gandhi’s team purchased the image to post on his account. He shared an image by a website Earth Tripper to claim similarities with the one shared by Gandhi. However, he did not provide any conclusive evidence to back his claim of the images being purchased by the Congress social media team. 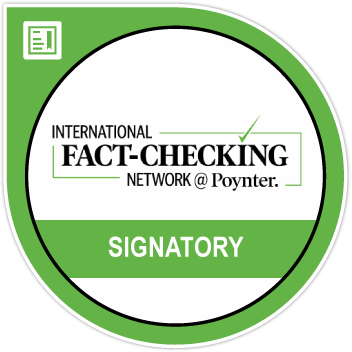 The claim was taken forward by the party’s social media army. Postcard founder Mahesh Vikram Hedge also tweeted the same. These images are from google tweeted from Delhi. BOOM spoke to Hasiba Amin from the Congress social media team who refuted the charge. Amin claimed that Rahul Gandhi has tweeted on his own and not by the party’s social media team.